After last week’s premiere of Queer Asia – Hong Kong, GagaOOLala will release this Friday its second chapter featuring the last recorded interview with Hong Kongese singer Ellen Joyce Loo (盧凱彤), before she passed away this past August at the age of 32. In “A Tribute to Ellen”, recorded on May 15th 2018, host Cheuk Wan-chi (卓韻芝) visits Ellen at her record company, People Mountain People Sea (人山人海), to discuss her relationship with her wife, Taiwanese photographer Yu Jing-Ping (余靜萍), her parents, and the issues the LGBT community still faces in Asia. 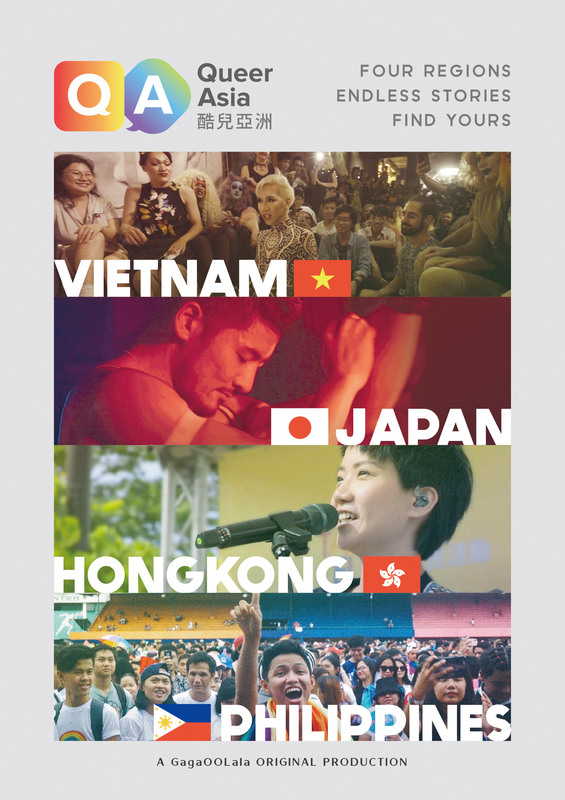 Watch Queer Hong Kong on GagaOOLala. Ellen Joyce Loo (盧凱彤) and Cheuk Wan-chi (卓韻芝). With this famous quote she came out to the world but, what we did not know, it is that she also outed her wife to her parents at that moment, as she confesses in the episode. The singer also explains how it took her mother almost a year to accept her girlfriend, and it was not until the moment Ellen told her that she was going to marry Yu that her mother gave them her blessing, and accepted to travel to Canada for the ceremony. Ellen at the Golden Melody Awards. The second episode of Queer Asia – Hong Kong premieres on November 2 on GagaOOLala for free. New episodes in Hong Kong will follow up the next two weeks, then the series will move on to the Phillipines, Japan and Vietnam.